Female to Male 4dB attenuator based on SC/APC connector. Optical signal attenuator designed to interconnect two cables or connectors. The fibre signal passes through the attenuator, thus reducing the signal and guaranteeing minimum connexion loss, signal correction and does not affect the wavelength. In this way an improved performance is obtained in comparison with the traditional splices. 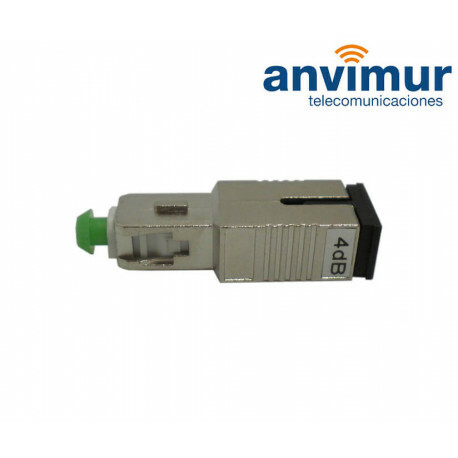 The connectable optical attenuator is a component that is an easy to use and install and avoids problems arising from excessive power, for example in very short links, where the receivers can become saturated.